Dr Sergio Escobar graduated from the National University of Buenos Aires in 1986 with the degree of Medical Doctor. He completed his training as a dermatologist in the Hospital Ramos Mejía in Buenos Aires. He holds the specialist degree in Dermatology, bestowed by the National University of Buenos Aires, recertified by the National Academy of Medicine, and is currently Director of Buenos Aires Aesthetic Sessions (BAAS). He has worked as a teacher in more than 25 countries giving lectures on the use of fillers, botulinum toxin and other cosmetic procedures. Dr Escobar is the author of more than 15 original papers and 2 books, presented in american and european events on the field, and is a member of the Argentinean Society of Dermatology and an International Fellow of the American Academy of Dermatology. Dr Escobar holds a vast experience in the field of Cosmetic Dermatology, with over 10,000 botulinum toxin A ,fillers, peelings, among other aesthetic procedures within the specialty. 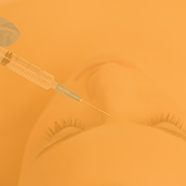 Botulinum toxin type A: paralysis or beautyfication - What is the end point? Bont A, paralysis or beautification: which is the endpoint?